Lorna Hayden (S&D) teacher Lynn Brehony, Grainne Smyth (S&D) teacher Sharon Lynch Nordon. Sarah Kelly(s) teacher Georgia Snow, Magnus Monaghan (s) teacher Kathryn Smith, Monewa Moloto (p) teacher Valerie Lloyd, Barry Power (p) teacher Jennifer Drennan, Roisin Foley (p) teacher Geraldine Barry Blanchfield, Sumbal Azam (p) teacher Margaret Butler, Diarmuid North (p) teacher Fiona Kelly, Marie Caffrey (p) teacher Siobhan Blake Lynch, Denis Kilbride (p) teacher Siobhan Grace. Sarah Hanna, Cillian O’Sullivan, Ciara Sheehan, TJ Bailey, Grainne Kearney, Niamh O’Gorman, Molly O’Connor and Sarah O’Callaghan from the Togher/Kilshanna Music School. 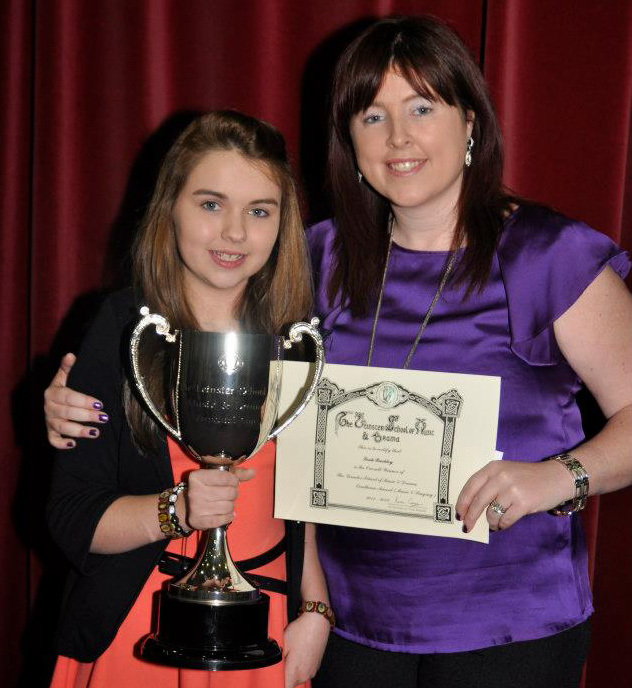 The Overall Winner of the LSMD Excellence Award for Speech & Drama Performance 2012 – Alex Reihill, Dublin (Teacher Lynn Brehony). 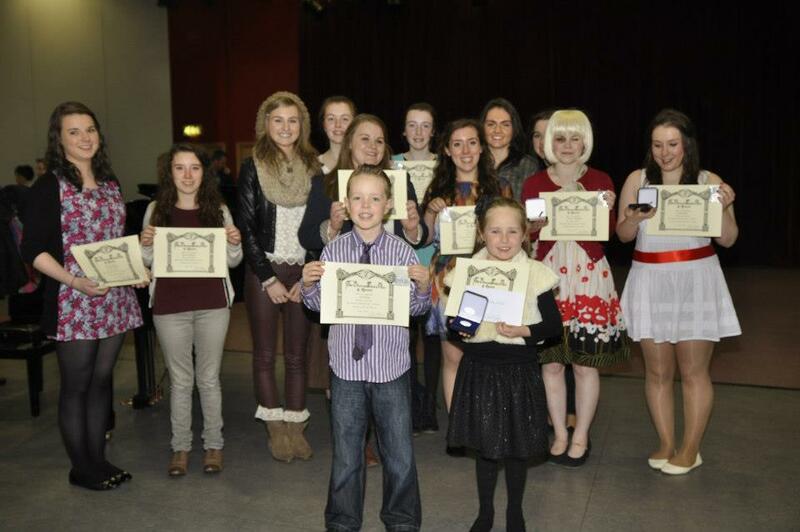 The Overall Winner of the LSMD Excellence Award for Music Performance 2012 – Leah Buckley Co Offaly (Teacher Lorraine Wynne).